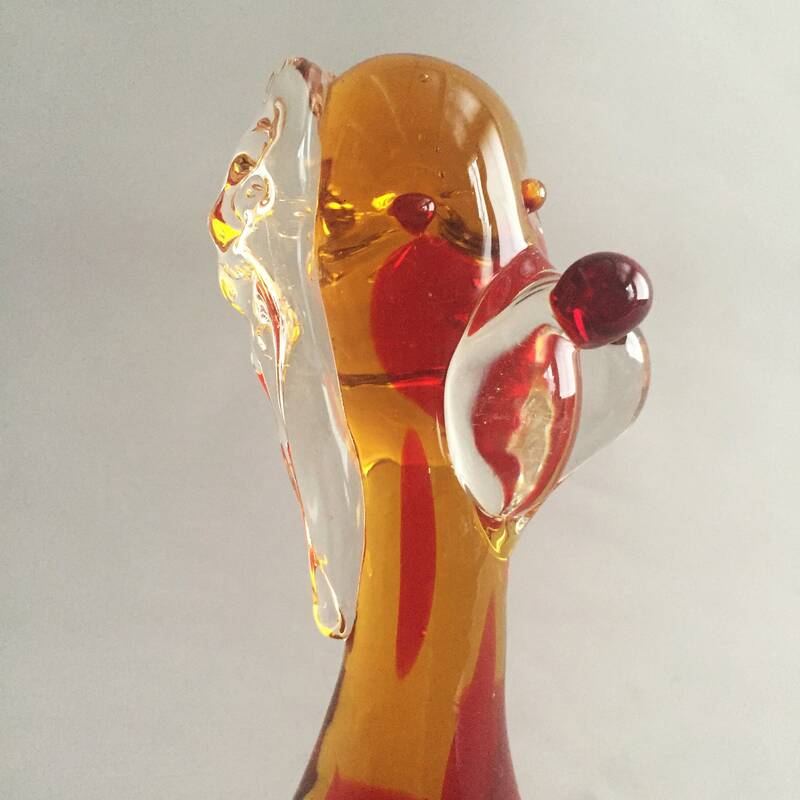 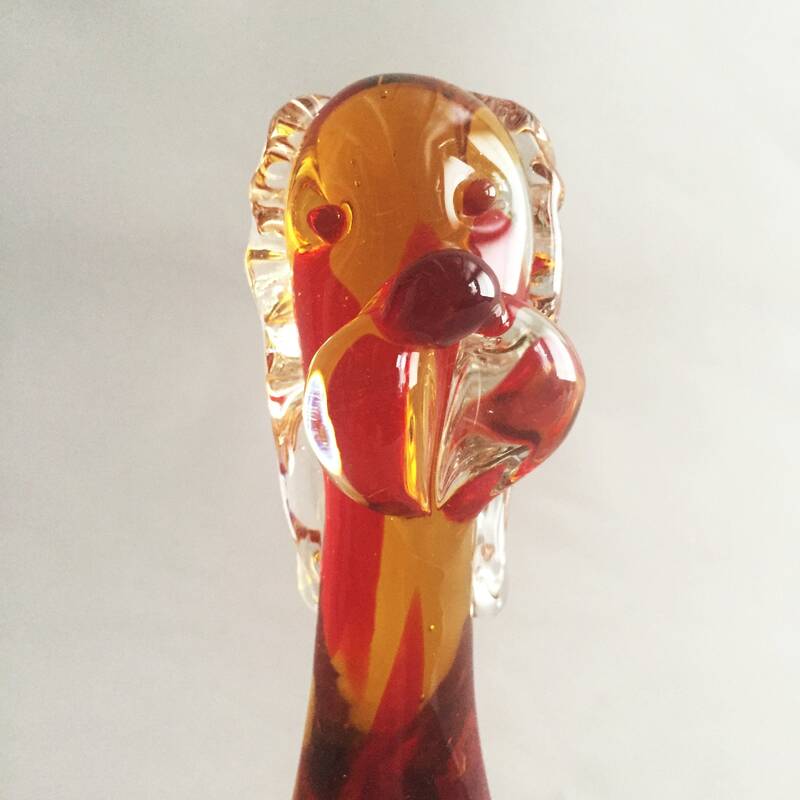 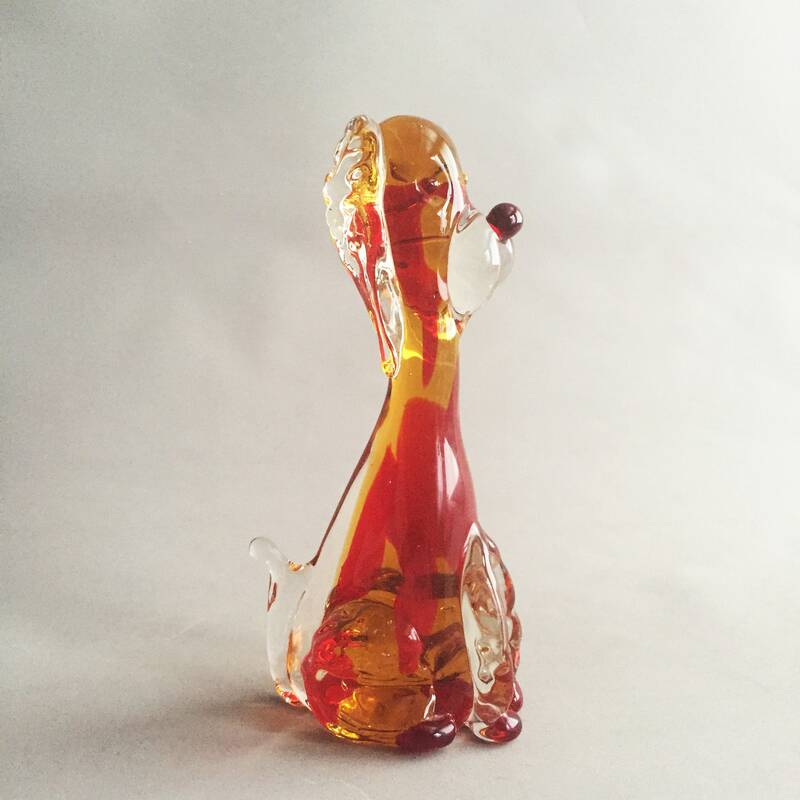 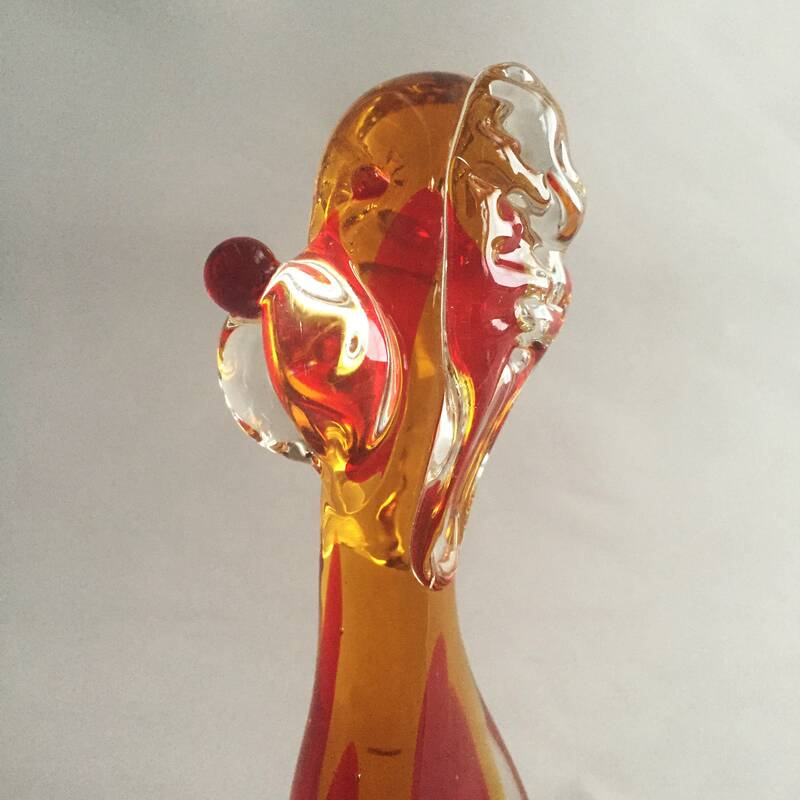 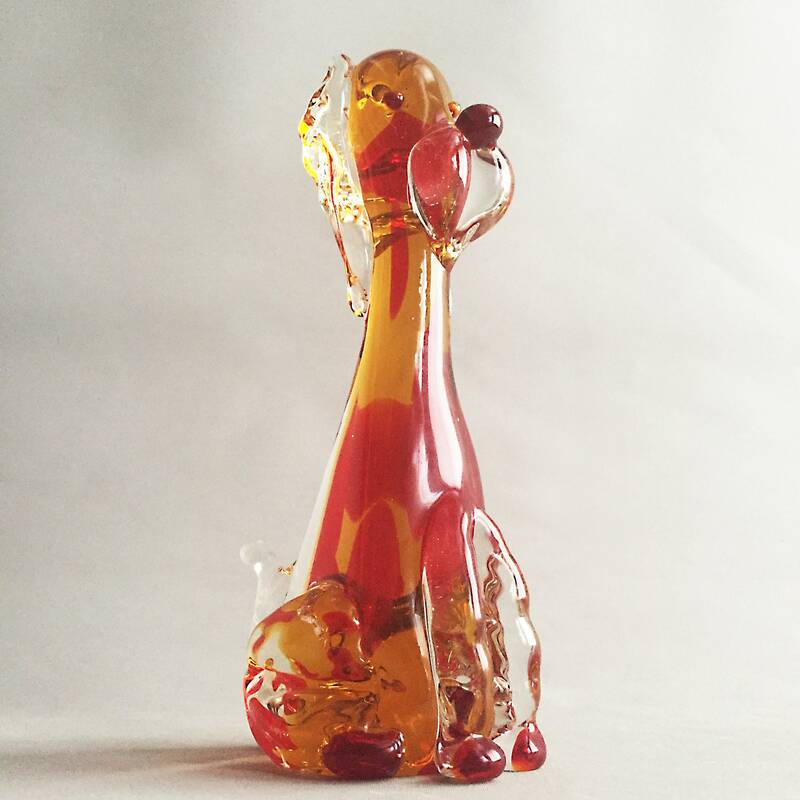 This Murano Glass poodle has oodles of charm. 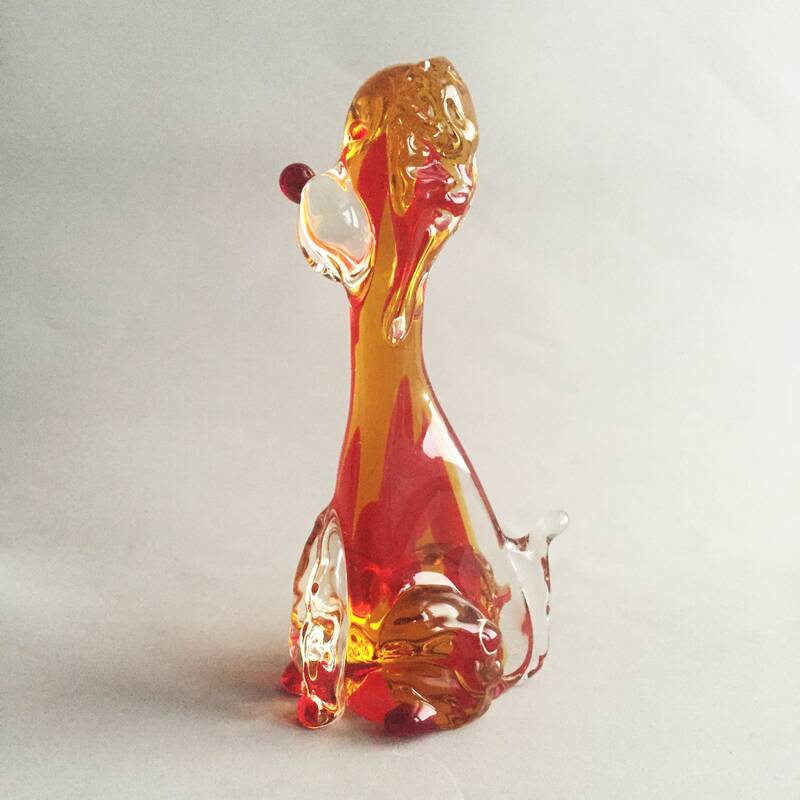 standing 23 cm tall x 10cm deep x 8 cm wide. 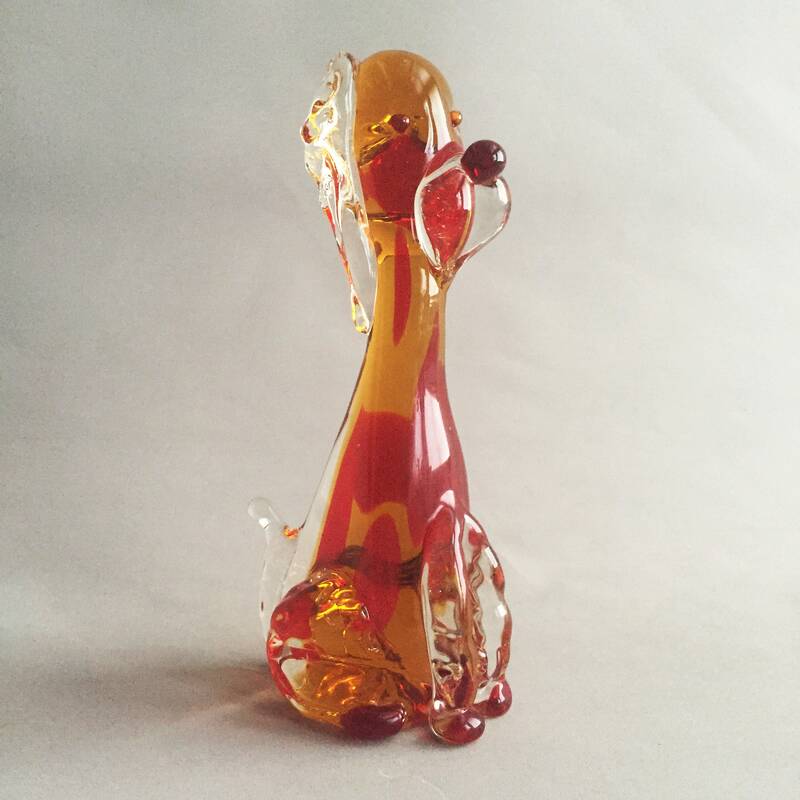 Pleasingly weighty with a mix of orange , red and clear glass.